John Isner ended his winless start to the year at the New York Open, while Fabio Fognini was a casualty at the Argentina Open. 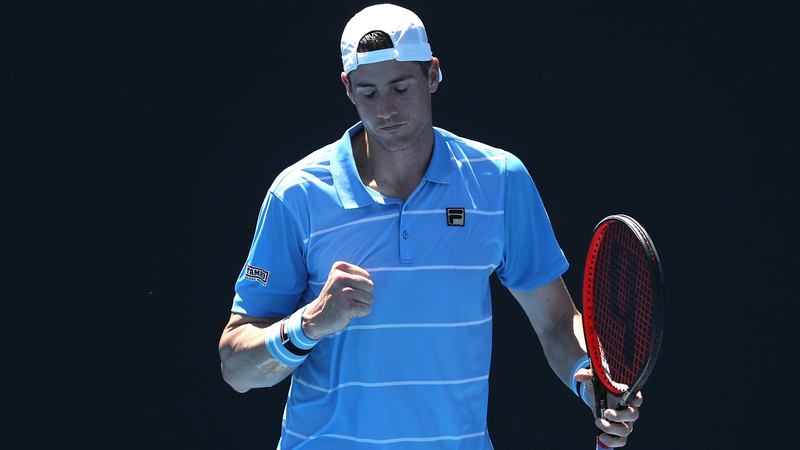 Isner was 0-2 in 2019 following defeats at the Auckland Open and Australian Open last month but the big-serving American celebrated victory in New York on Wednesday. The top seed at the ATP 250 tournament, Isner defeated Bernard Tomic 7-6 (9-7) 6-4 en route to the quarter-finals midweek. "I had a long time to stew over again not doing well Down Under. It was very tough... I certainly wasn't feeling too great about my game after that," said Isner, who hit 33 aces in the one hour, 14-minute win. "But the only thing you can do is just continue to keep working hard. For me, keep working on my body. And I used that time to really get stronger. You have to look at it as a blessing in disguise. It really just gave me a bunch of time to keep working hard in the gym, but most importantly just enjoying time with my family." Next up for Isner in the last eight is another Australian – seventh seed Jordan Thompson, who beat Christopher Eubanks 4-6 6-1 6-4. American third seed Steve Johnson was stunned 6-4 4-6 7-6 (7-4) by qualifier Brayden Schnur, Paolo Lorenzi ousted Ryan Harrison 4-6 6-4 6-4, Croatian veteran Ivo Karlovic lost out to Radu Albot 6-7 (4-7) 7-6 (7-4) 7-6 (7-5) in the round of 32 and Denis Istomin topped Mackenzie McDonald 4-6 6-2 6-3. At the Argentina Open, second seed Fognini crashed to a 4-6 6-4 7-5 loss against Jaume Munar in Buenos Aires. "I'll be surprised if you see a better shot all week"
Countryman and third seed Marco Cecchinato saw off Christian Garin 7-6 (7-4) 6-4, while Roberto Carballes Baena and Guido Pella were also victorious in the last 16.